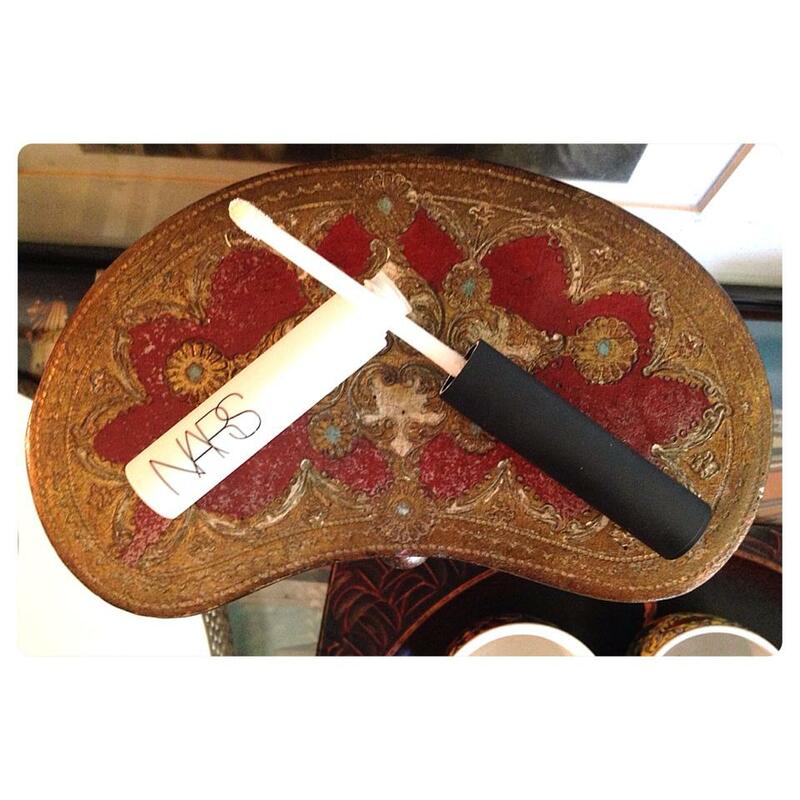 My other favorite eyeshadow base is from NARS Cosmetics. It is called Smudge Proof Eyeshadow Base. In my other entry (click here), I talked about using a different product when I am working with neutral colors. For this entry, I will be discussing the reasons why I use NARS eyeshadow base when I am working with vivid colors. First of all, this eyeshadow base is clear. I apply a little of the product on the eyelids and spread it all over, as far as the brow bone, with my finger or a brush. This product dries clear. An indication is that the eyelid will mattify, leaving the skin tone visible through a layer of the product. The reason why I use this with vivid colors is because this eyeshadow base doesn’t come in color. So whatever eyeshadow I will place on the lid, it will register the same vivid color as seen in the pot. I especially use this on clients who are acidic. As we all know, a person who is “acidic” experience a change in the color of their makeup. I have observed that the Smudge Proof Eyeshadow Base from NARS delays the “oxidation” process. This eyeshadow base has incredible long wear and durability. Very minimal creasing occurs throughout the day. One observation I have made with those who have oily lids, if you don’t put a generous amount of product, the oil tends to seep through messing up with the eye shadow. You get creasing, smudging and running… especially if you are wearing cake eyeliner. So always put more than the usual amount of this eyeshadow base on those with oily lids. You can also use this to set the color of your eyebrows. I spread a minimal amount on the brows with an angled eyebrow brush or a spoolie. NARS‘ Sumdge Proof Eyeshadow Base is available at the Nars Botique at Rustan’s Department stores. It retails for Php 1750.